One of the greatest hitters ever “Mr. 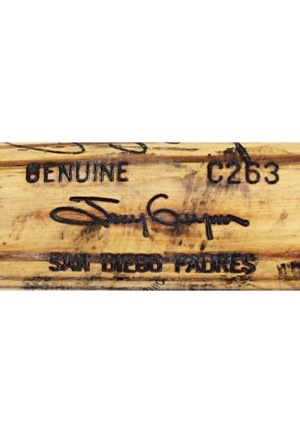 Padre” Tony Gwynn was inducted into the National Baseball Hall of Fame in 2007. 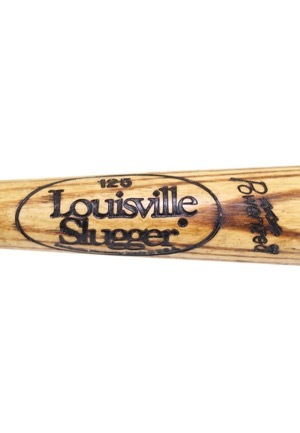 Manufacturer: Louisville Slugger Model Number: C263 Length: 32 inches Weight: 30.70 ounces. 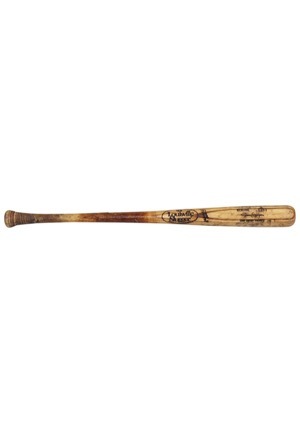 The bat shows excellent game use with a handle crack and ball marks and impressions throughout the barrel. There is a coat of pine tar on the handle and handwritten on the knob is the model number, length, weight and player number “19”. 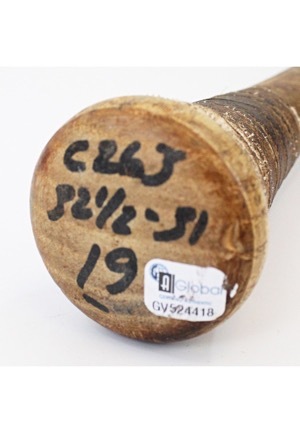 Handwritten on the bottom is also the model number and player number “19” all in black marker. 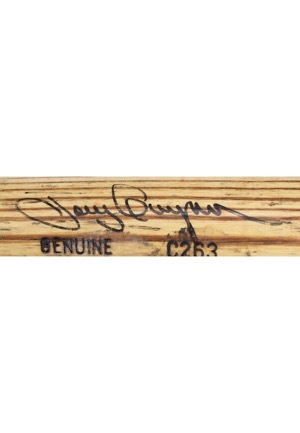 Gwynn signed the bat on the top barrel in black marker and in our opinion the signature rates a near 8. 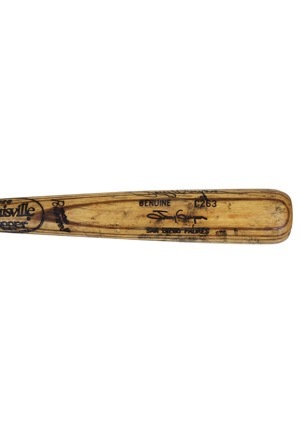 Accompanied by a LOA from JSA and a PSA/DNA LOA grading the bat a 9.5.